I questioned whether I could drink this orange wonder upon first glance. Pretty sure I’ve OD’ed on pumpkin and Halloween candy the past few weeks, and this smoothie looks like pureed candy corn. But it’s not! 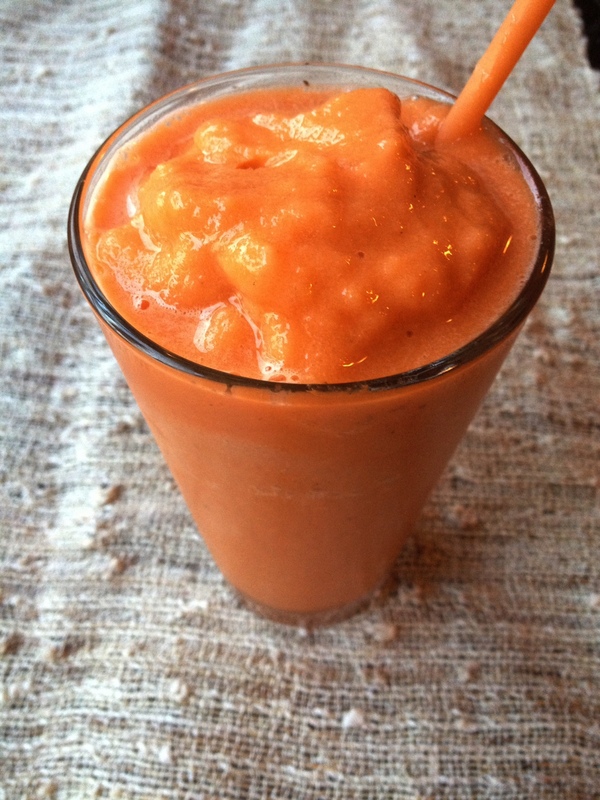 The blend of carrot juice, bananas, and peaches is healthy, fresh, and and light. Not too sweet. Somehow it reminds me of fall without weighing me down, even though I’m wearing a huge chunky sweater right now. Thank God for things like carrot juice and blenders. Add all ingredients to a blender and mix until smooth. The juice amount is not exact – you really have to wing it. 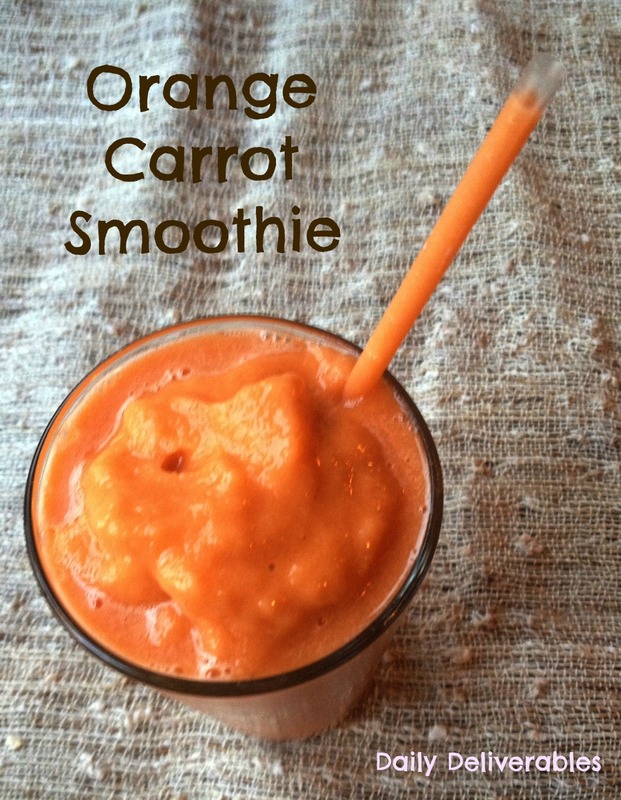 Add more carrot juice or more orange juice, whatever you like best. You might have to stop the blender a few times, scrape down the sides, stir, maybe add another splash of juice. You’ll know when it gets to your desired consistency. Serve immediately. looks yummy, I am going shopping for the ingredients after work. Looks like your comments are finally coming through!